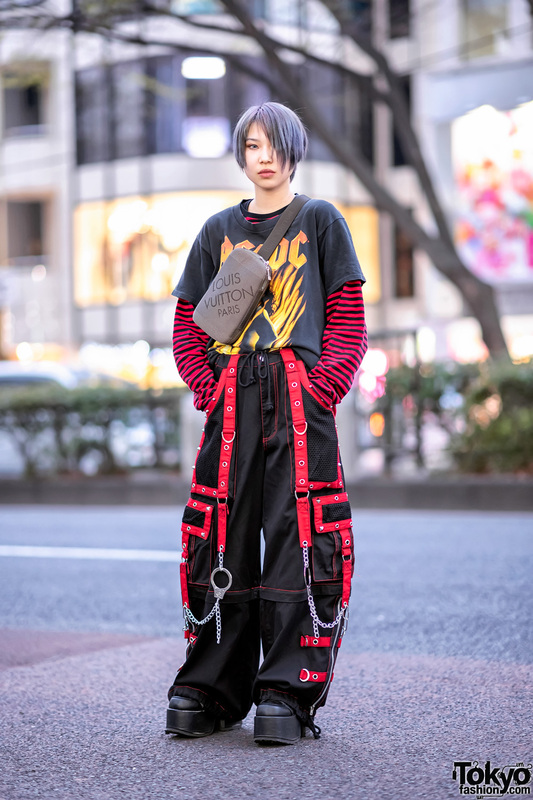 Here’s a stylish Harajuku girl with pretty hair and makeup who caught our eye on the streets of Tokyo after dark. Her outfit features a coat over a knit top with a pink skirt and white platform boots from the Japanese brand Murua. Accessories include a pink “Fantasy” cap (caps are trendy in Tokyo right now), a cross choker, and a pink Samantha Thavasa purse decorated with Bambi and Thumper plush charms. Always love the night shoots, cool girl great pictures. Simple, and just right! Great look! 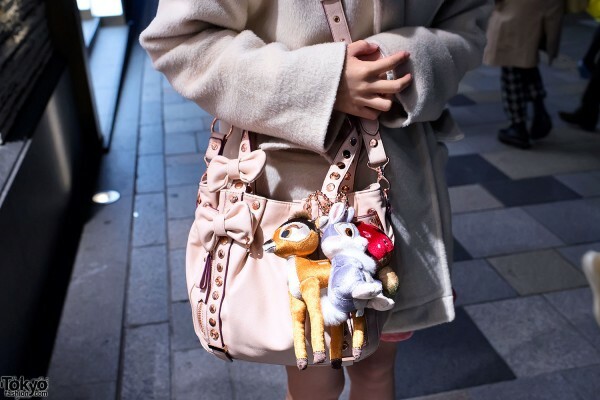 She’s so pink and cute and I love all of the dolls on her purse!